Jessica focuses on addressing the needs of her clients. An effective communicator, she seeks to fully understand her buyers and sellers, continuing a focus on client service that began while managing a horse farm at a young age. After college, Jessica worked at the forefront of internet advertising, managing client relationships for the agency that created the first online advertisement. Now, with over 15 years of strategic marketing expertise and experience in the real estate industry, Jessica is a motivated and resourceful negotiator determined to help her clients find the right property or market their property effectively. Jessica joined TSG Residential as the principal agent in 2014. She is among the top producing residential agents in Davidson with over $8 million in sales for 2017. Prior to joining TSG, Jessica was an agent at Select Sotheby’s International Realty, where she was recognized as a top producer. A graduate of the Whittemore School of Business and Economics (now Peter T. Paul College) at the University of New Hampshire and a member of the National Association of Realtors®, North Carolina Association of Realtors®, and the Charlotte Regional Realtor® Association, Jessica has recently earned the prestigious designation of Certified Residential Specialist, which is the highest credential awarded to residential sales agents. A native Vermonter, Jessica loves being outside in the beautiful climate Davidson offers. 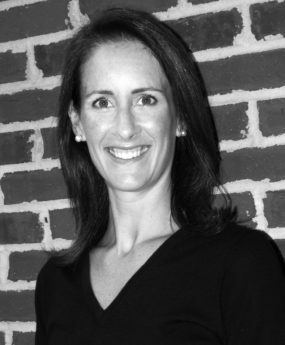 She is a member of the Davidson Elementary School Leadership Team, on the board of Team Summit Foundation and is a big supporter of Davidson College athletics. She and her husband Brad, who works at Davidson College, reside in Old Davidson with their two children and dog.